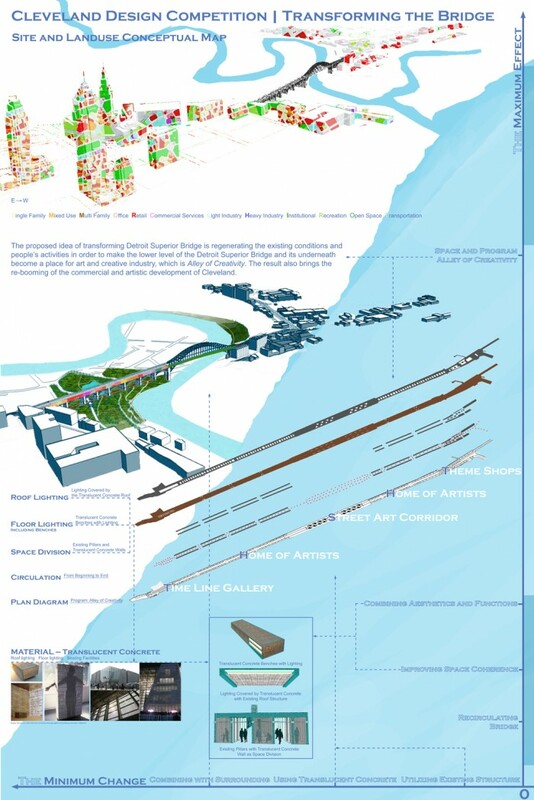 The proposed idea of transforming Detroit Superior Bridge is regenerating the existing conditions and people’s activities in order to make the lower level of the Detroit Superior Bridge and its underneath become a place for art and creative industry. 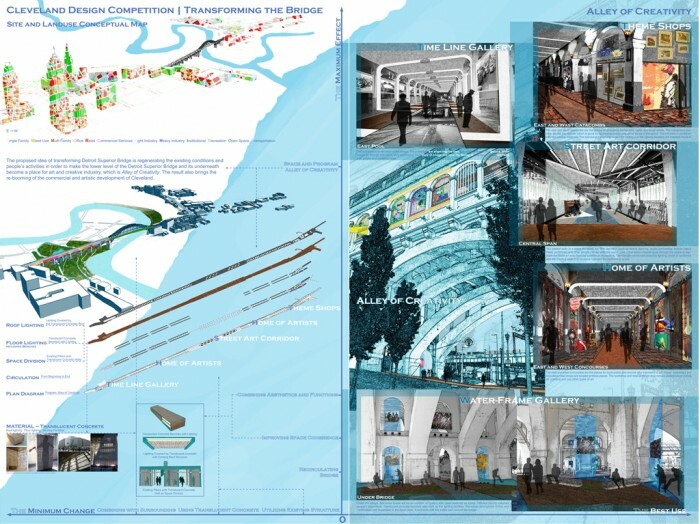 The result also brings the re-booming of the commercial and artistic development of its neighborhood and Cleveland. Besides the new program of the bridge, adding new materials and utilizing its existing structure are the main design focuses in creating its new atmosphere. The existing pillars divide the space and walls of translucent concrete, which is also used as roof lighting structure, ground lighting cover, lighting benches. 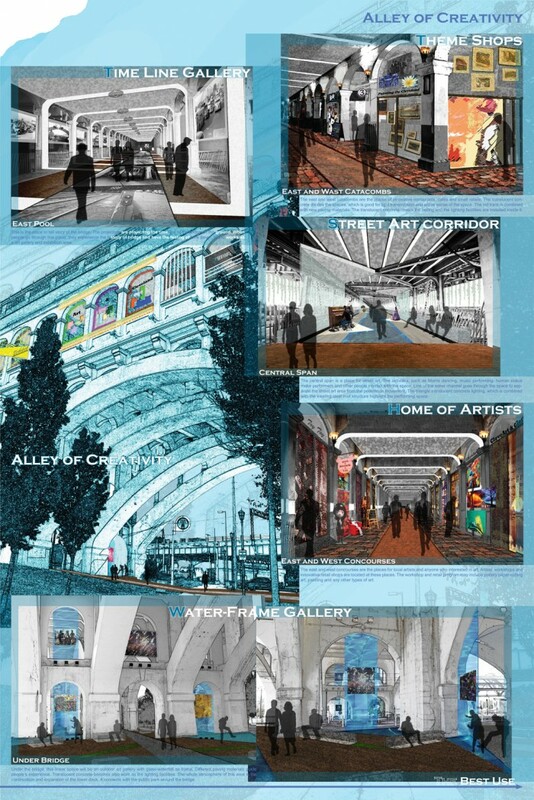 From east pool to west end, the design is trying to give people a new characteristic for this place, which are Cleveland’s creative ideas and thoughts, by experiencing the projecting gallery of the bridge history, innovative shops, artists’ workshops, street performing place and the underneath bridge water-frame gallery. From downtown Cleveland to west local community, the Detroit Superior Bridge become the bonding point of the city, it tell the unique and creative story of Cleveland.